Enriching people’s spiritual life through worship, discipleship, community and service. A Mix of Contemporary and Traditional Worship. A 30 minute service that gives a little bit of everything; music, message and prayer. When you arrive for worship at St. James, whether it's Sunday morning or Wednesday evening, you will receive a bulletin to guide you through the service, the entire service is printed in the bulletin and is easy to follow. On Sunday mornings you'll also receive a hymn book. We generally dress casually for services. Children are always welcome and are a joy to have with us, so please don't have anxiety about noises or movement, we understand and are happy you are there. After the service you are invited to join us in the parish hall for refreshments and conversation. Our goal is to create an atmosphere that is comfortable and that helps you know that you belong. Join us as we begin our journey with Jesus to the cross. This is the beginning of Holy Week. Join us for a beautiful service as we remember Jesus' words and actions during the Last Supper and Washing of the Feet. Join us at Queensville Holland Landing United Church (at Leslie St. and Queensville Sd Rd) at 10:30 am for a joint Good Friday service. Join us any time for one of our weekly and monthly events! These classes are suitable for all levels and people who’ve never taken a yoga class before. 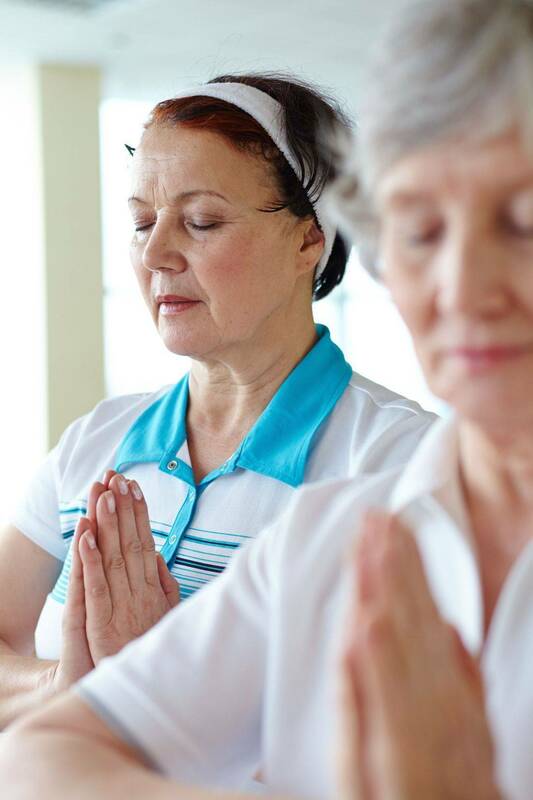 We will emphasize gentle stretching, body awareness, breathing , balance and beginning meditation techniques. We provide clothing and food (groceries that are mostly non-perishable) for free to anyone who needs it. We are open every Wednesday from 9:30 am to 12 pm. (In the house next to the church). Volunteers and clients always welcome. Donations can be left in the donation box beside the house. The Anglican Church Women (ACW) is a ministry that affirms the gifts of all Anglican women and gives them an opportunity to contribute through worship, learning and service. The ACW ministers to church needs as well as to issues affecting the wider community, such as health, education and poverty. Membership is open to all Anglican women. Join us at the Lion's Pub and Grill (corner of Leslie and Gorham in Newmarket) on the First Friday of the month for food, fellowship and trivia! The fun begins at 8:00 pm. Join us on the 2nd Friday of the Month for a great movie and delicious snacks. Showtime is at 7:30 pm. Our Study Group meets every Wednesday at 1:30 pm in the parish house (the house across from the church). We are currently studying "The Great Themes of Scripture" by Richard Rohr. Every second Thursday of the month we visit our friends at the Newmarket Health Centre (on Eagle St) for a service at 10 am. Later in the day, at 2 pm we visit our friends at the Newmarket Residence (on Davis Dr, quite a ways east of the 404) for a service followed by pop and cookies. These are both really meaningful visits both for the residents and for the volunteers. Please consider join us for one or both!